Dimensions: 38 x 18 x 14 cm approx. 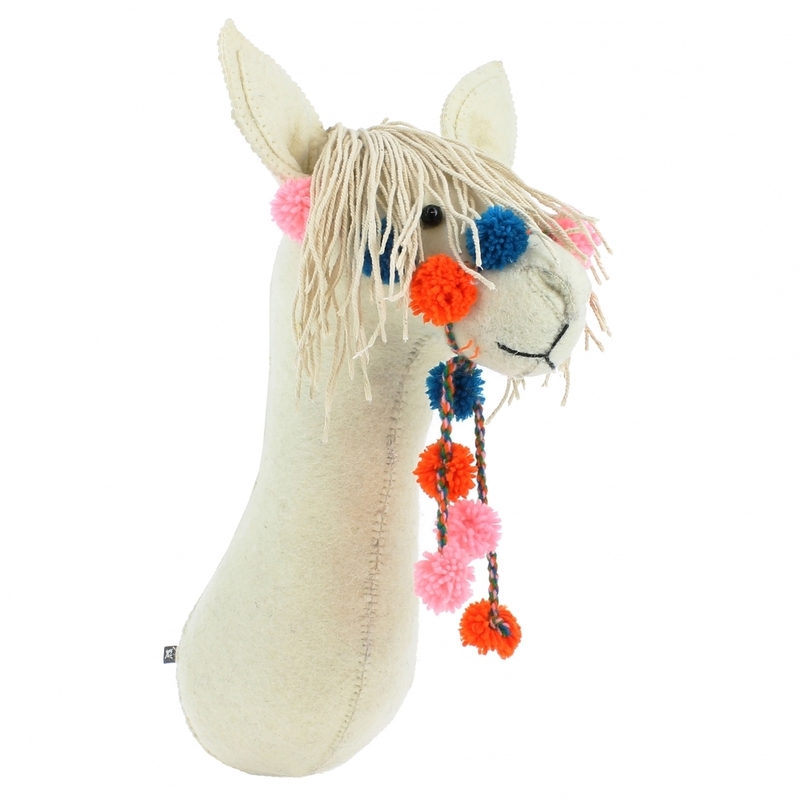 Colourful and quirky, the Llama with Pom Pom Bridle Felt Animal Wall Head by Fiona Walker England would make a beautiful addition to a nursery or child's bedroom. A hand crafted animal head in cream felt, it will be admired by adults and children alike and can make a room special for little ones. Match him up with the Llama Bridle hook from Fiona Walker to create a coordinated display.